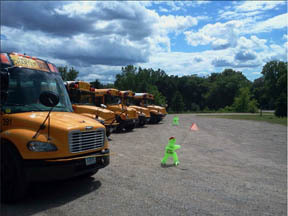 The YMCA provides safe and reliable transportation each day for our campers to begin their adventure! Bus stop locations are available throughout the summer from the locations listed below. Transportation is provided by YMCA-owned vans, leased vans, and buses. All drivers have completed special training. Bus times are approximate and schedule is subject to change.